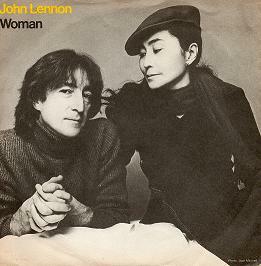 Released on 16th January 1981, Woman was an ode to John Lennon's wife Yoko Ono and made #1 in the UK and #2 in the U.S. and Switzerland. The single was taken from the 1980 album Double Fantasy which achieved 3x Platinum in the U.S. and Platinum in the UK. Initially, the album received bad reviews, but it became a worldwide hit after John Lennon was murdered. In the UK, the song knocked Lennon's other re-release of Imagine off the top of the charts. In the U.S. it spent three weeks at #2 and was kept off the top spot in the first week by Blondies' Rapture. Overall, the former Beatle had three number one hits in the UK, the other two being Imagine and (Just Like) Starting Over.